 RENEWING THE PROMISE OF CITY LIFE AT ROLAND PARK PLACE. 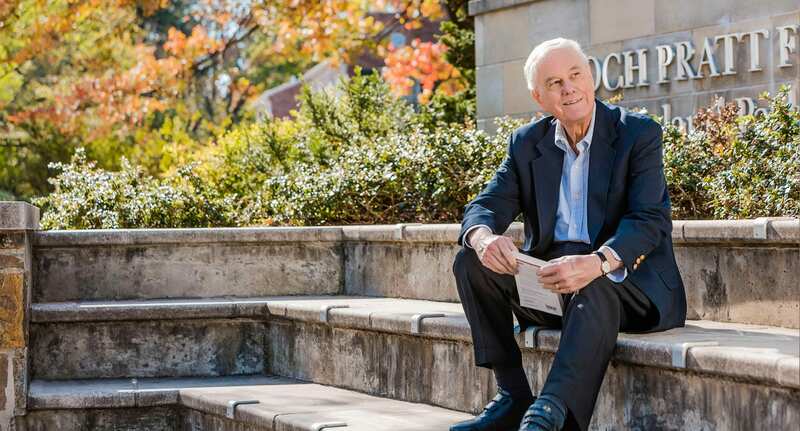 In 2017, after thriving quietly for more than three decades, Roland Park Place embarked on an ambitious expansion and renovation of its Baltimore City campus. 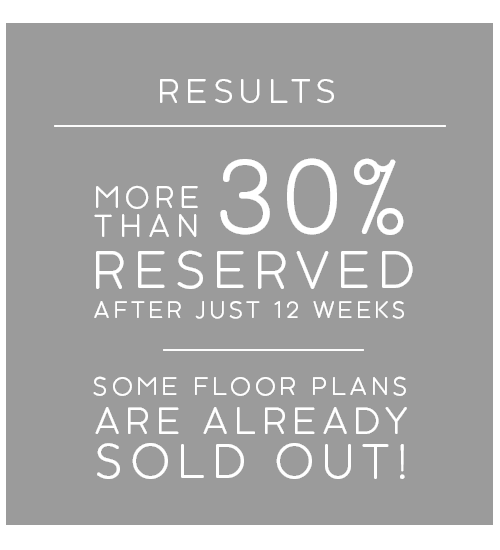 Construction will soon begin on an eight-story addition, adding 58 new residences. This expansion, along with a just-completed new arts and education center, and in-progress renovation of the community’s healthcare wing and entrance lobby, will result in a dramatic rejuvenation. 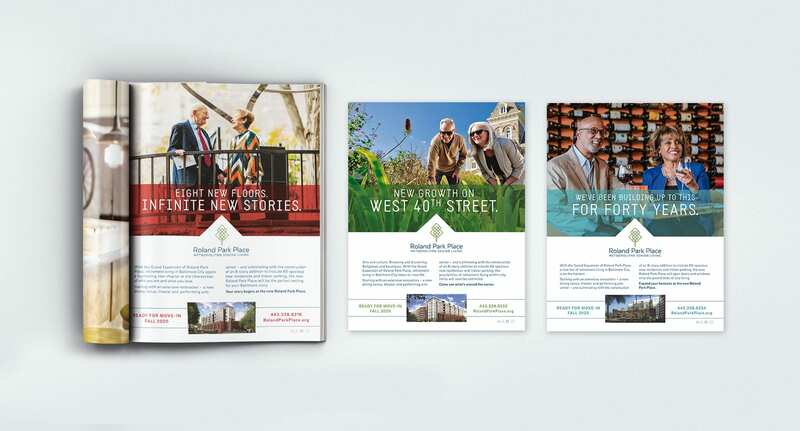 Concurrent to those changes, Roland Park Place undertook a rebranding, updating its identity and brand positioning to convey a bold, contemporary promise: “Metropolitan Senior Living.” After just twelve weeks in market, the corresponding campaign—including a new website, print, broadcast, direct marketing and digital communications—has attracted positive response and resulted in the reservation of more than 30% of the new residences, with several floor plans already sold out. 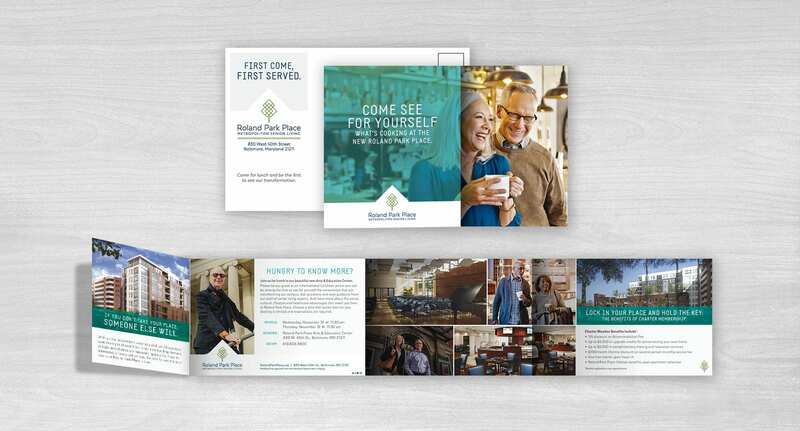 BRAND IDENTITY CONVEYS URBAN SOPHISTICATION AND PARK-LIKE SERENITY. 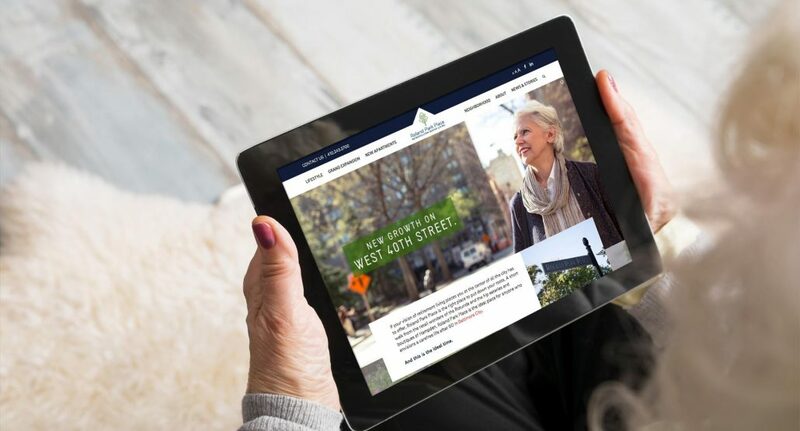 BRAND MESSAGING FOCUSES ON AUTONOMY AND THE RICH VARIETY OF THE URBAN EXPERIENCE. 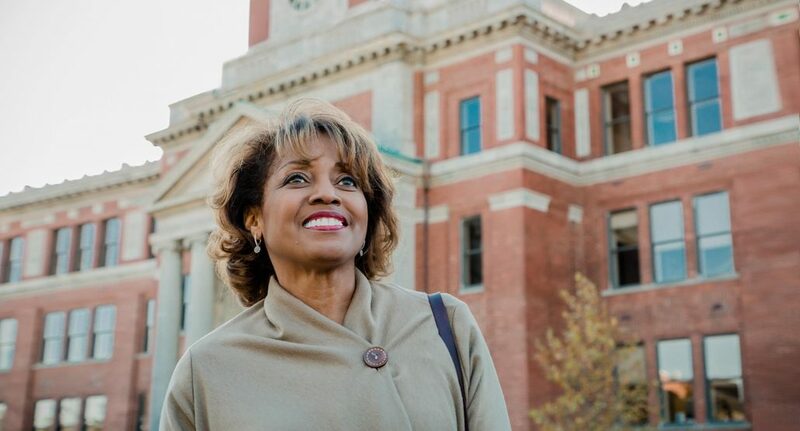 ORIGINAL PHOTOGRAPHY CAPTURES INTRINSIC ATTRACTION OF BALTIMORE CITY.